Christopher Hitchens, a neo-conservative British author and journalist, has shown strong Islamophobic bias and, more recently, he has been speaking in support of Barack Obama's tough stance on Pakistan. He claims that "Pakistan Is the Problem and Barack Obama seems to be the only candidate willing to face it". He further adds, "American liberals can't quite face the fact that if their man does win in November, and if he has meant a single serious word he's ever said, it means more war, and more bitter and protracted war at that—not less". Christopher Hitchens used to identify with the liberal left. More recently, however, he has embraced mainly right-wing causes espoused by the American neo-conservatives in the Bush administration, most notably the Iraq War. 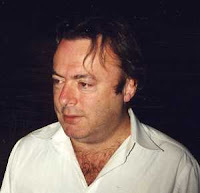 Formerly a Trotskyist and a fixture in the left wing publications of both the United Kingdom and United States, Hitchens departed from the grassroots of the political left in 1989 after what he called the "tepid reaction" of the European left following Ayatollah Khomeini's issue of a fatwa calling for the death of Salman Rushdie, but he has stated on the Charlie Rose show aired August 2007 that he remains a "democratic Socialist." The September 11, 2001 attacks strengthened his strong support of an interventionist foreign policy, and his loud criticism of what he calls "fascism with an Islamic face." He is known for his ardent admiration of George Orwell, Thomas Paine and Thomas Jefferson, and for his excoriating critiques of Mother Teresa, Henry Kissinger, and Bill Clinton. At a recent dinner party in the British embassy in Kabul, one of the guests referred to "the Afghan-Pakistan war." The rest of the table fell silent. This is the truth that dare not speak its name. Even mentioning it in private in the Afghan capital's green zone is enough to solicit murmurs of disapproval. Few want to accept that the war is widening; that it now involves Pakistan, a country with an unstable government and nuclear weapons. "Don't mention the war," as Basil insists with mounting hysteria in Fawlty Towers. And, when discussing the deepening crisis in Afghanistan, most people seem deliberately to avoid such telling phrases as "Pakistani aggression" or—more accurate still—"Pakistani colonialism." The truth is that the Taliban, and its al-Qaida guests, were originally imposed on Afghanistan from without as a projection of Pakistani state power. (Along with Pakistan, only Saudi Arabia and the United Arab Emirates ever recognized the Taliban as the legal government in Kabul.) Important circles in Pakistan have never given up the aspiration to run Afghanistan as a client or dependent or proxy state, and this colonial mindset is especially well-entrenched among senior army officers and in the Inter-Services Intelligence agency, or ISI. We were all warned of this many years ago. When the Clinton administration sent cruise missiles into Afghanistan in reprisal for the attacks on our embassies in East Africa, the missiles missed Osama Bin Ladin but did, if you remember, manage to kill two officers of the ISI. It wasn't asked loudly enough: What were these men doing in an al-Qaida camp in the first place? In those years, as in earlier ones, almost no tough questions were asked of Pakistan. Successive U.S. administrations used to keep certifying to Congress that Pakistan was not exploiting U.S. aid (and U.S. indulgence over the anti-Soviet war in Afghanistan) to build itself a nuclear weapons capacity. Indeed, it wasn't until after Sept. 11, 2001, that we allowed ourselves to learn that at least two of Pakistan's top nuclear scientists—Mirza Yusuf Baig and Chaudhry Abdul Majid—had been taken in for "questioning" about their close links to the Taliban. But then, in those days, we were too incurious to take note of the fact that Pakistan's chief nuclear operative, A.Q. Khan, had opened a private-enterprise "Nukes 'R' Us" market and was selling his apocalyptic wares to regimes as disparate as Libya and North Korea, sometimes using Pakistani air force planes to make the deliveries. The very name Pakistan inscribes the nature of the problem. It is not a real country or nation but an acronym devised in the 1930s by a Muslim propagandist for partition named Chaudhary Rahmat Ali. It stands for Punjab, Afghania, Kashmir, and Indus-Sind. The stan suffix merely means "land." In the Urdu language, the resulting acronym means "land of the pure." It can be easily seen that this very name expresses expansionist tendencies and also conceals discriminatory ones. Kashmir, for example, is part of India. The Afghans are Muslim but not part of Pakistan. Most of Punjab is also in India. Interestingly, too, there is no B in this cobbled-together name, despite the fact that the country originally included the eastern part of Bengal (now Bangladesh, after fighting a war of independence against genocidal Pakistani repression) and still includes Baluchistan, a restive and neglected province that has been fighting a low-level secessionist struggle for decades. The P comes first only because Pakistan is essentially the property of the Punjabi military caste (which hated Benazir Bhutto, for example, because she came from Sind). As I once wrote, the country's name "might as easily be rendered as 'Akpistan' or 'Kapistan,' depending on whether the battle to take over Afghanistan or Kashmir is to the fore." I could have phrased that a bit more tightly, since the original Pakistani motive for annexing and controlling Afghanistan is precisely the acquisition of "strategic depth" for its never-ending confrontation with India over Kashmir. And that dispute became latently thermonuclear while we simply looked on. One of the most creditable (and neglected) foreign-policy shifts of the Bush administration after 9/11 was away from our dangerous regional dependence on the untrustworthy and ramshackle Pakistan and toward a much more generous rapprochement with India, the world's other great federal, democratic, and multiethnic state. Recent accounts of murderous violence in the capital cities of two of our allies, India and Afghanistan, make it appear overwhelmingly probable that the bombs were not the work of local or homegrown "insurgents" but were orchestrated by agents of the Pakistani ISI. This is a fantastically unacceptable state of affairs, which needs to be given its right name of state-sponsored terrorism. Meanwhile, and on Pakistani soil and under the very noses of its army and the ISI, the city of Quetta and the so-called Federally Administered Tribal Areas are becoming the incubating ground of a reorganized and protected al-Qaida. Sen. Barack Obama has, if anything, been the more militant of the two presidential candidates in stressing the danger here and the need to act without too much sentiment about our so-called Islamabad ally. He began using this rhetoric when it was much simpler to counterpose the "good" war in Afghanistan with the "bad" one in Iraq. Never mind that now; he is committed in advance to a serious projection of American power into the heartland of our deadliest enemy. And that, I think, is another reason why so many people are reluctant to employ truthful descriptions for the emerging Afghan-Pakistan confrontation: American liberals can't quite face the fact that if their man does win in November, and if he has meant a single serious word he's ever said, it means more war, and more bitter and protracted war at that—not less. In his post on Slate today, Christopher Hitchens has appealed for people to vote for Obama. I guess Obama's war rhetoric against Pakistan is attracting the pro-war neocons such as Hitchens. McCain lacks the character and temperament to be president. And Palin is simply a disgrace. At my old English boarding school, we had a sporting saying that one should "tackle the ball and not the man." I carried on echoing this sort of unexamined nonsense for quite some time—in fact, until the New Hampshire primary of 1992, when it hit me very forcibly that the "personality" of one of the candidates was itself an "issue." In later years, I had little cause to revise my view that Bill Clinton's abysmal character was such as to be a "game changer" in itself, at least as important as his claim to be a "new Democrat." To summarize what little I learned from all this: A candidate may well change his or her position on, say, universal health care or Bosnia. But he or she cannot change the fact—if it happens to be a fact—that he or she is a pathological liar, or a dimwit, or a proud ignoramus. And even in the short run, this must and will tell. On "the issues" in these closing weeks, there really isn't a very sharp or highly noticeable distinction to be made between the two nominees, and their "debates" have been cramped and boring affairs as a result. But the difference in character and temperament has become plainer by the day, and there is no decent way of avoiding the fact. Last week's so-called town-hall event showed Sen. John McCain to be someone suffering from an increasingly obvious and embarrassing deficit, both cognitive and physical. And the only public events that have so far featured his absurd choice of running mate have shown her to be a deceiving and unscrupulous woman utterly unversed in any of the needful political discourses but easily trained to utter preposterous lies and to appeal to the basest element of her audience. McCain occasionally remembers to stress matters like honor and to disown innuendoes and slanders, but this only makes him look both more senile and more cynical, since it cannot (can it?) be other than his wish and design that he has engaged a deputy who does the innuendoes and slanders for him. I used to call myself a single-issue voter on the essential question of defending civilization against its terrorist enemies and their totalitarian protectors, and on that "issue" I hope I can continue to expose and oppose any ambiguity. Obama is greatly overrated in my opinion, but the Obama-Biden ticket is not a capitulationist one, even if it does accept the support of the surrender faction, and it does show some signs of being able and willing to profit from experience. With McCain, the "experience" is subject to sharply diminishing returns, as is the rest of him, and with Palin the very word itself is a sick joke. One only wishes that the election could be over now and a proper and dignified verdict rendered, so as to spare democracy and civility the degradation to which they look like being subjected in the remaining days of a low, dishonest campaign. Now that Barack H. Obama is going to take over the presidency of the United States of America, it is imminent to read the mind of this man, his policy, which he is going to adopt for a country like Pakistan. From what we learn about his career as a human being, he seems to be a person who has been reared under varying religious environment. This probably played a big role in forming his chemistry as a human being. But his persona as a politician and would be President of the US, is perhaps totally a different story. When he says he will invade Pakistan to flush out terrorists in our northern areas, then we see a big question mark on his future thinking, specially when neocons like Christopher Hitchens and the ilk seem to have joined the Democrats bandwagon before and after his victory and as my friend Eric S. Margolis asserts in his latest essay (The World applauds Obama's Victory on http://wondersofpakistan.blogspot.com) says "Equally important, Republicans must delouse the party of its neocon infestation and bring in foreign policy experts who put America’s interests above those of foreign nations. The Democrats also need be wary: the necons, smelling impending disaster, began jumping the Republican ship well before elections and are now burrowing into the Democratic Party." Now these are the guys who almost dictated the policies of George W Bush which brought the whole world into a panic and bloodshed, if they too sitting alongside the democratic desks would inspire, motivate or navigate the foreign policy of the democrats, I think the world will be doomed. Let's hope this does n't happen and am quite confident this will not. The only thing is that the would be President of the US need to come to Pakistan and have a look over the on ground situation himself, am sure he will not need much effort to convince himself that all Pakistanis are not al-Qaeda guys and to flush out terrorists out of our north should be left to Pakistan's political forces, its people and the army. We are being made to believe that this war on terror is our war. However, like me most of Pakistanis don't believe its our war until and unless US seems to share with its knowledge, resources and its policies on people to people basis and not between secret agents of the CIA, Mosad, RAW or even the ISI and corrupt military generals or over- corrupted civilian politicians in power or likely to come in to power.